SRK Consulting (South Africa) (Pty) Ltd (SRK) has been appointed by the Western Cape Department of Environmental Affairs and Development Planning (DEA&DP) for the research and compilation of the Western Cape State of Environment Outlook Report (SoEOR), as required in terms of Section 16A of the National Environmental Management Act 107 of 1998, as amended (NEMA). 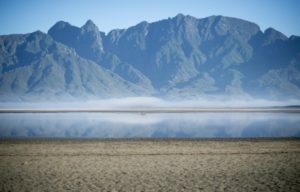 The purpose of the SoEOR is to inform policy makers, the public and other interested parties of the status of the natural resources in the Western Cape Province and trends in their utilisation. The SoEOR addresses the following key themes: Air Quality, Biodiversity and Ecosystem Health, Land, Climate Change, Human Settlements, Energy, Waste Management, Inland Water and Oceans and Coasts.